Wayfair is looking for problem-solving entrepreneurs to join one of several positions created as part of a firm-wide Procurement transformation. 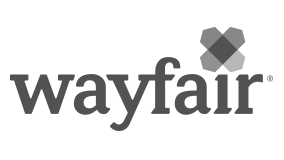 At Wayfair, we move extremely fast with a laser focus on customer success. That means we need people who focus on more than just cost. We need adaptable doers who are great at engaging with stakeholders, super spend data gurus, flexible and fast multi-taskers, and who possess a true total cost of ownership philosophy. We need the next generation of procurement talent! The Procurement Manager will lead strategic sourcing activities for a wide variety of spend areas within the organization. This role will be instrumental for driving operational excellence and offers an exceptional opportunity to develop global category sourcing strategies from the ground up, and on a challenging size and scale. You will act as the GM of strategic spend within a team that has responsibility for supporting groups across the company including Marketing, Finance, Engineering and Logistics.